Everything we do is built on our commitment to do the right thing for our customers, our employees, and our communities. Learn more about the values and culture that are the foundations of our business. Visit our U.K., Australia or Leidos Biomedical Research career sites for opportunities in the respective locations. Our extensive global charitable and outreach programs feature many inspiring projects, partners, and people that enrich the fabric of the communities in which they live and work. Thousands of veterans and military spouses have joined Leidos to support vital missions on the front lines of some of the world's most critical markets. Recognized by Best for Vets, Operation MVP is our company-wide initiative to hire, train and support returning veterans. We were recently named one of 2018's Best Employers for Women by Forbes. 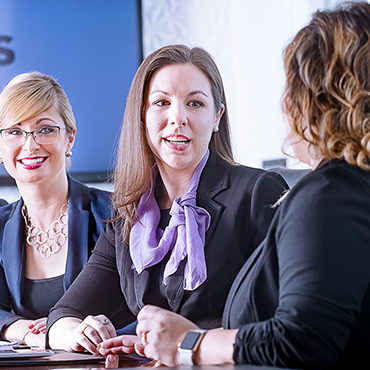 Find out why our partnerships with Women in Technology, March of Dimes, and the Society of Women Engineers are central to embracing diversity across our workforce. 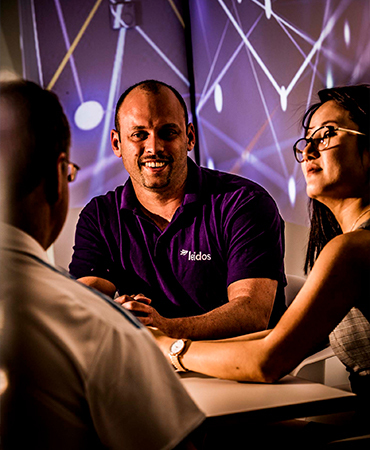 Learn more about what it means to work at Leidos, the tips on building a career within our industry, and the recognition given to many of our 31,000 employees. View the latest insights on Careers and Culture. 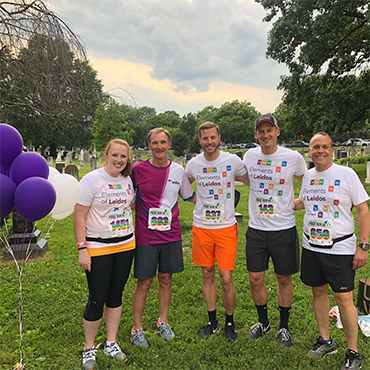 High fives to all of our #TeamLeidos colleagues, including Chairman and CEO Roger Krone, who showed their support for #leidosdiversity at #DCFrontRunners 5k. Well, look who's here: DC-area companies that lead for flexible jobs. Diversity is a driving force within our culture of innovation. Find out why some of our latest hires chose to join Leidos. Competitive salaries for regional and market conditions. 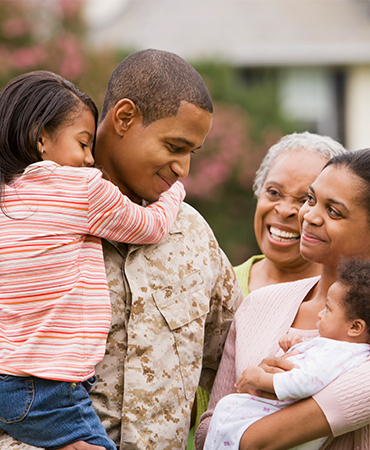 Company matching, pre-tax contributions, and active and passive investment options to help you. Comprehensive medical, dental and vision. Optional wellness programs, FSAs and HSAs. Paid time off, official holidays and flexible personal leave that let you relax and recharge. Refer a friend, colleague or neighbor for the Leidos External Referral Bonus Program and you could receive a one-time referral payment of $2,000. 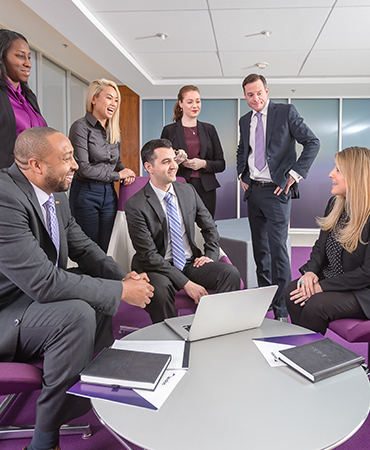 The program is open to persons unaffiliated with our business to assist Leidos in attracting, hiring, and retaining the very best talent in the United States. A notice describing federal equal employment opportunity laws can be viewed here: EEO is the Law and here: EEO Poster Supplement. You may also view the OFCCP’s Pay Transparency Nondiscrimination Provision. Leidos will never ask you to provide payment-related information at any part of the employment application process, nor will Leidos ever advance money as part of the hiring process. And Leidos will communicate with you only through emails that are generated by Leidos.com automated system. If you receive an email purporting to be from Leidos that asks for payment-related information or any other personal information, please report the email to Chris Scalia, Leidos’ Senior Vice President of Talent Acquisition, at chris.a.scalia@leidos.com.